If you’ve ever wondered about the power and potential of a South Texas College education, just ask 2016 grad Victoria Quintanilla… A word of advice: be sure you’ve cleared your schedule. But for Quintanilla, it’s less about the success stories, and more about what’s left to be accomplished. In South Texas, and across the world. Quintanilla’s globe-trotting story began in San Juan, Texas, where as a gifted and hard-working high school student, she earned access to the Pharr-San Juan-Alamo Early College program. 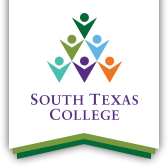 With the backing of the PSJA counseling and support staff, she was soon not only handling the rigors of college coursework, but charging hard toward a double-major in Independent Studies and Mathematics at South Texas College. By now, she’s used to the double-take when she mentions her community college-to-Ivy League trajectory. Nevertheless, Quintanilla is quick to credit her “home college” with providing a road map for academic success. That foundation has held steady through two years, and tens of thousands of miles, between South Korea, South Connecticut and South Texas. Quintanilla’s interest in using her education to improve the lives of social minorities worldwide has ensured not only a full class schedule, but a full travel itinerary, as well. And don’t expect it to stop after college. Upon graduation, Quintanilla hopes to return to Korea in a professional capacity, working with a non-governmental organization (NGO) to promote human rights and ultimately, build opportunity for underserved populations all over the world.